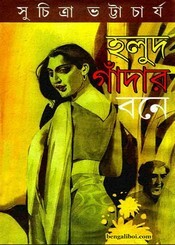 Suchitra Bhattacharya is a very familiar name in Bengali literature. Readers have realized the skills of her writing in teenage literature, stories, novels. The author is best known for creation of novel in Bengali readers. There is family life, relationship between people and sometime emerged the picture of the mentality of adolescents puberty in her writings. Among her published novels in this period, 'Kachher Manush' is one of the biggest compositions. This book is compiled with three big stories- these are 'Holud Gandar Bone', 'Aniket', 'Bhanga Ayna Niye'. The ebook pdf has 160 quality pages, 21mb file size.